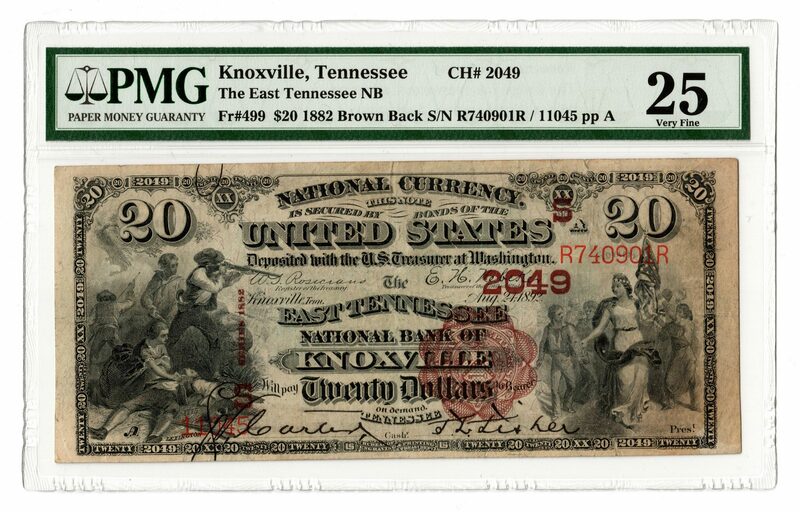 $20 "Brown Back" bank note dated 1882 from The East Tennessee National Bank of Knoxville, Tennessee, with a vignette of the Battle of Lexington, April 19, 1775, left, and a vignette of Columbia leading a procession, right. First Issue. Serial # R740901R/11045 pp A. CH # 2049. FR # 499. 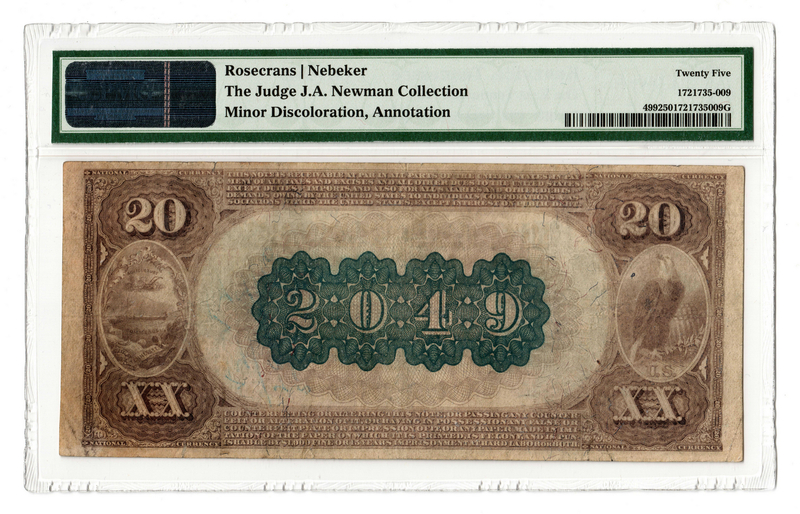 Rosecrans/Nebeker signatures. PMG graded, 25/Very Fine. Provenance: the collection of the late James A. Newman (Nashville, TN, 1892-1964). CONDITION: PMG graded, 25/Very Fine. Minor discoloration, annotation.